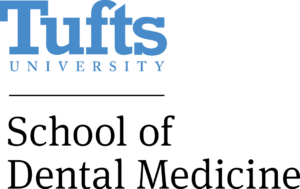 A renowned school located in the historic city of Boston, Tufts University School of Dentistry is not only a top educational facility, it is also where our dentists and orthodontist earned their dental degrees and orthodontic and pediatric dentistry certifications. Dr. William Chan and Dr. Ben Chan are also current clinical faculty members, and Dr. William Chan has been a member of the Board of Advisors since 2012. In their capacity as teachers, they are dedicated to helping mentor future pediatric and orthodontic dental professionals and instill the patient-focused philosophies that set Tufts and our practice apart. More information about our doctors’ work at Tufts is available on their About pages, and we invite you to explore that content at your convenience. Dr. William Chan, Dr. Denise Goodman, and Dr. Ben Chan are proud to represent Tufts University and its exceptional program. If you would like to learn more about what makes Tufts University School of Dentistry special, please check out https://dental.tufts.edu/ or contact our practice for more information.